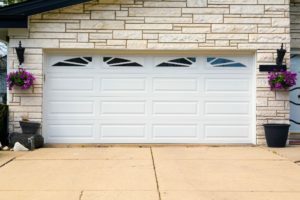 An overhead garage door is one of the more popular choices for both home and commercial garages It consists of a door that is opened by pulling up from the bottom, and remains over the top of the vehicle when open. Overhead garage doors are space-efficient, making them a good choice for garages with limited space. They come in an assortment of materials and design. These materials include fiberglass and wood, which are considered the most alluring style and material. Meanwhile, steel overhead doors are a maintenance free option and heavy duty. Because of its advantages Overhead door is a popular style. It takes up very little room, which makes it appropriate for smaller spaces. The roller type door runs on a streamline track, which does not take up much room. However, an overhead garage door desires enough headspace to accommodate the rolled up door. 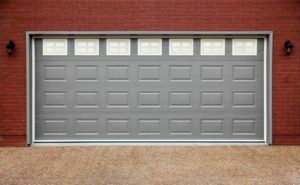 So be sure you have adequate space over the doorway of your garage if you are considering this particular type of garage door. Also, your overhead garage door should be high enough to clear your vehicle when parking in the garage. You will also need to factor in the space that it will take up if you are planning to install an automatic garage door opener. Before investing in an overhead door measure your garage door first. With overhead garage doors, you also have the option of non-insulation or insulation. In colder climates like Canada, protecting your overhead garage door is recommended especially if your garage connects to your living space. Insulating your garage door is a good investment because it will not only make your garage more comfortable; it will also make your vehicle guarded from extreme changes in temperature. More importantly, it will keep cold air from entering your room. An insulated overhead garage door may cost more but the benefits will certainly be worth the price.